Amelia is in unfamiliar surroundings. She is not from Guyana and this is her first visit to the South American country. The laboratory tests she has undergone at the hospital are a crucial part of the reason for her trip to Guyana. Cubans have been flocking to Guyana in droves to get such visas, because the USA has not only relaxed its position on visitors and immigrants from Cuba, but it has also decided to transfer the processing of visa applications for Cubans from Colombia to Guyana.She speaks English reasonably well; however, it is clear that Amelia is one of the many Cubans journeying to Guyana for interviews at the United States Embassy as they anxiously seek their immigrant visas. “Of course, we benefit from it because we are a well-established hospital and we have all the services that actually assist in getting the immigrant visas,” Ramsay said. Amelia turns to the hospital’s Clinical Associate Administrator, Terry Mohamed and exuberantly declares, “It has been great service… they are doing a fantastic job! I don’t know how you guys do it!” she tells him. They are also thronging the private hospital because it is the only medical institution in Guyana approved by the U.S. Embassy at this point in time to provide this service. The 73-year-old hospital has risen to the challenge of living up to the trust of the U.S. Immigration Service to provide professional medical screenings to facilitate their scrupulous system of visa-processing. Currently, only two doctors are certified by the United States’ Immigration Board and, coincidentally, the two are also stationed at SJMH. 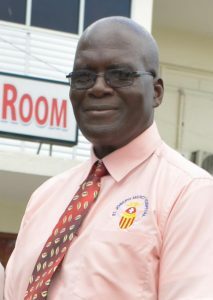 The hospital’s Chief Executive Officer Enoch Gaskin explained that even though the hospital now has an unprecedented influx of Cubans seeking medicals, there is no partiality and no distinction in the services the institution offers them. They get the same treatment as anyone else. But the steep increase in Cubans seeking medical services is not without its challenges. Gaskin said the hospital is including Spanish signage around its building and compound to guide their clients. “If there are any perceptions that the Cubans are getting special treatment or that the hospital has to do something different for Cubans, the answer is no. But we do recognise that our signage has to be bi-lingual because every day … a significant clientele who pass through speak Spanish,” he explained. Gaskin noted that, above and beyond everything, the standard policy of the hospital’s staff is to maintain sustained, high-quality professional service for everyone who seeks their intervention. 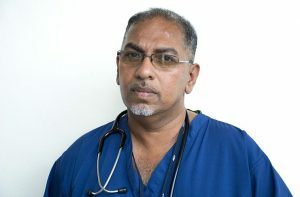 There seems to be little doubt that the hospital’s long association with the U.S. Embassy is based on its top-quality medical personnel and facilities, including an award-winning laboratory fully certified by the Guyana National Bureau of Standards. And the U.S. Embassy does not leave anything to chance; its staff conducts a comprehensive annual audit of the hospital. “They [audit the hospital] at least once a year to pronounce on the professionalism and status of the services we provide,” Gaskin said. “The fact that the [U.S.] board’s physicians are all resident Mercy Hospital physicians and our services are totally used—every service needed for the process is provided by the hospital—is testimony alone to the fact that we have been able to sustain the high quality expected of us and we intend to continue in this vein,” Gaskin asserted. “So, rest assured that the U.S. Consular system would have chosen us because of our track record. So you are coming into an approved establishment with a history that is recognised. The hospital will do nothing to compromise that status. 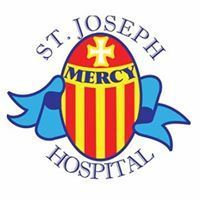 “I would like to think St Joseph Hospital is the standard-bearer… we are the standard by which other services provided will be judged, and we are up to the challenge to ensure that we remain the standard- bearers,” he added. 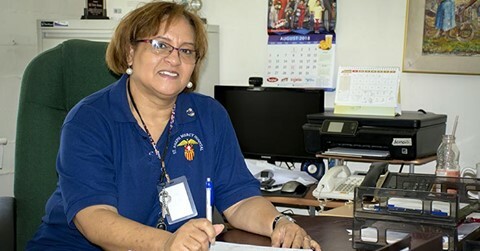 Gaskin said the number of Cubans seen at the hospital is often not an accurate reflection of the numbers actually there for their medical screening, because families or individuals are often accompanied by others who are not seeking any service at the hospital. Often, he is bombarded with one question: how is the hospital coping with the influx of Cubans? “For us it’s not an influx. For us it’s a normal day, because we can accept way more than the total numbers you see and dispense with them in the same professional manner in which we are dealing with our regular clients,” he noted. Mohamed supported him, saying that the large numbers of Cubans seen waiting in the mornings are efficiently dealt with by midday. Ramsay maintained that the hospital, over the years, has kept pace with modern systems and equipment in the medical industry to ensure that the hospital always provides high-quality service as a top medical institution in Guyana. Other hospital professionals agreed that SJMH has been handling the increased volume of medical-seeking Cubans quite well. I have many memories of my days at SJMH. So glad to see that they continue to provide excellent service in the community. Here in Georgetown there’s a positive vibe. We think President Granger will run things well for the people of Guyana who have been through a lot. We will one day become world class.